Cruze’s original intention was to manufacture the attachment purely for use on his father’s machines, however, once the apparatus came into being, other contractors saw it in use and started asking if one could be made for them as well. 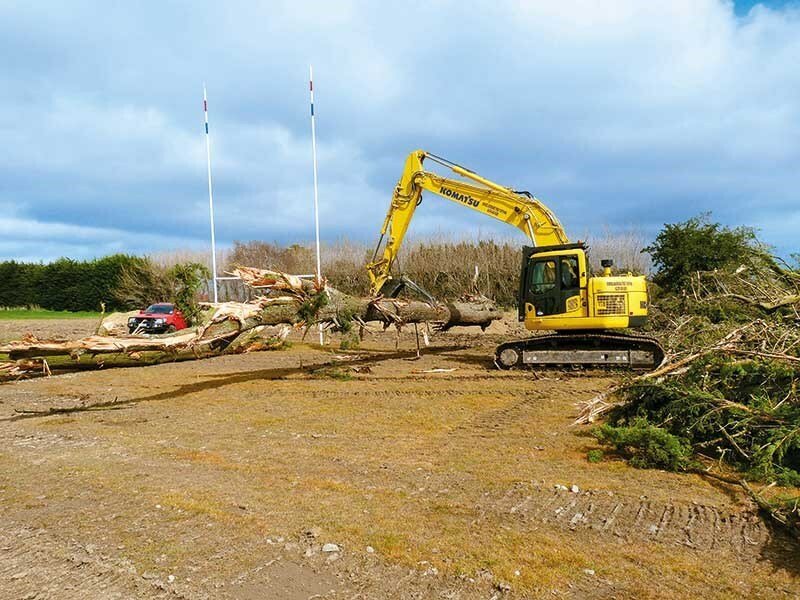 At first, the young entrepreneur envisaged building the KiwiClaw to suit usage on larger 10–20 tonne machines, but an influx of enquiries for attachments from other contractors who operated smaller excavators in the 1–8 tonne range, saw him meeting that end of the market as well. Cruze told DOW that after teaching himself the intricacies of using a 3-D CAD design programme, he then set about purchasing a CNC (Computer Numeric Control) machine to which he attached a plasma cutter, enabling a prototype KiwiClaw to be manufactured. From there, he said, it was simply a matter of attaching it to a machine and putting it to work, which allowed him to make "tweaks" to further improve its operation as time went by. KiwiClaw, he said, is manufactured entirely in New Zealand. As demand for the KiwiClaw steadily increased, it became apparent to Cruze that his initial idea of only selling his product in the Southland area had to be rethought, as orders for other attachments such as root rakes, rippers, grab buckets, and quick hitches to name just a few started rolling in from other parts of the country as well. 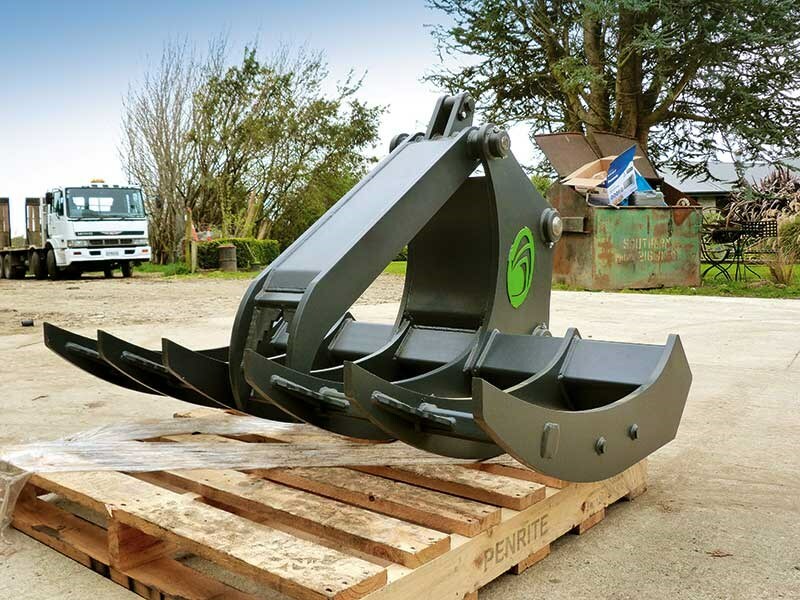 With the exception of the KiwiClaw, Digger Warehouse sources all of its attachments from overseas, and by using ‘Main Chain’ as its method of warehousing and distribution, it is able to keep freighting costs to a minimum, thus passing the savings on to the end user. Deals on Wheels took a trip out to the outskirts of Invercargill to a site where one of Bruce Dickens’ machines was busy clearing a row of trees that had been recently felled to make way for an extension to a football field. 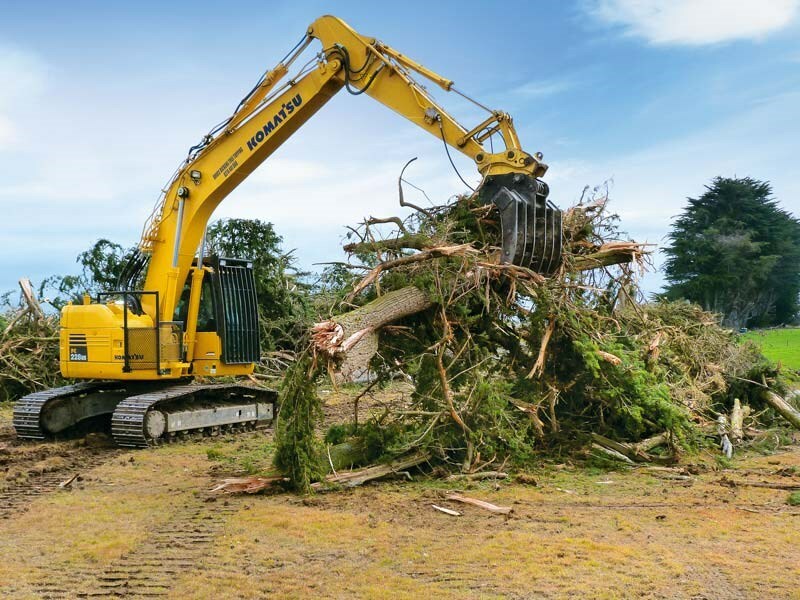 This provided a great opportunity to watch the KiwiClaw in action and to see how it dealt with not only the trunks of the trees but also the toppings. 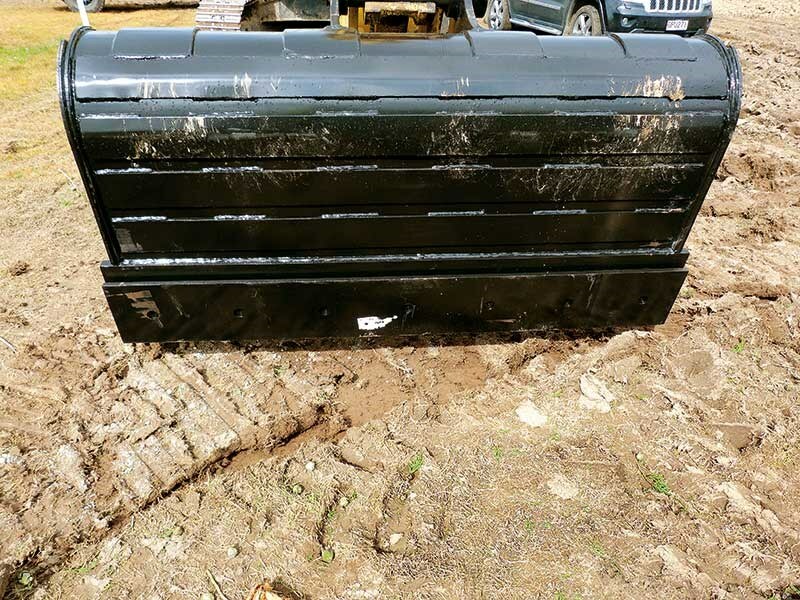 Digger Warehouse says that they are always striving to improve the performance of the KiwiClaw, as can be seen in the photo of the latest updated model sitting on the pallet. 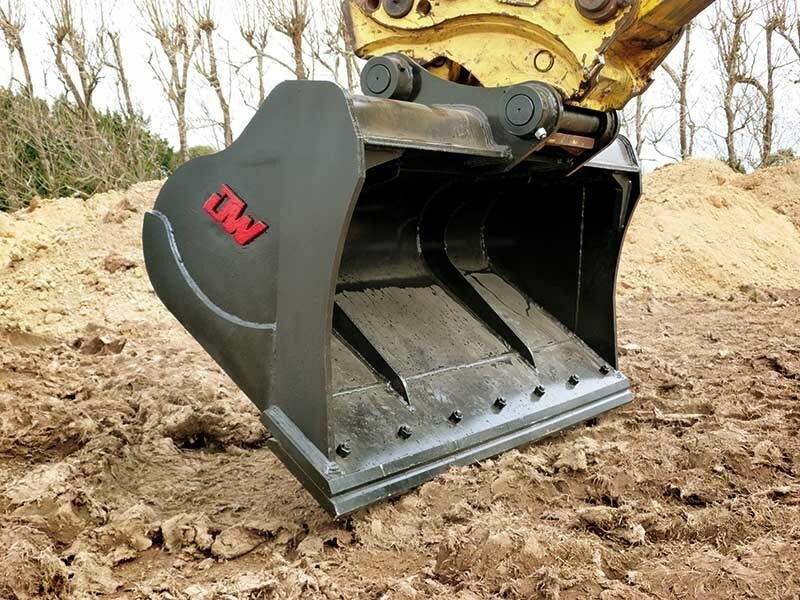 Cruze told DOW that the positioning of the mounting pins on the attachment has been modified slightly in order to reduce the possibility of the latest model KiwiClaw hitting the digger it is attached to. 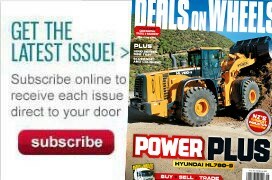 Having seen the KiwiClaw in action, I’d say that Digger Warehouse is onto a winner. The Ed headed to Hamilton and climbed aboard a Bobcat E50 excavator. Here’s what he had to say.